Kaziranga National Park is one of the prides of India. Kaziranga is the place where the nature unwinds its pristine form in millions of hues, where wildlife roams fearlessly, where man and nature meets together. This prestigious national park of India is situated in the north eastern part of the country in the district of Golaghat and Nagoan in the state of Assam. 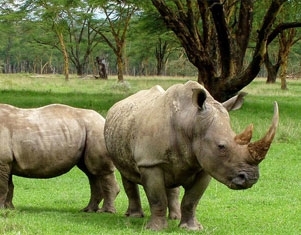 Pick- up by Car from Guwahati Airport to be taken to Kaziranga National Park, the home of the One Horned Rhinoceros” Check in at hotel /Resort,Evening free for leisure.Overnight stay at hotel/Resort. Start the day at 445 am with a 1 hr. Elephant Safari. Return to hotel from Breakfast After breakfast, enjoy Jeep Safari. Return to hotel for Lunch, after lunch visit the nearby villages to experience the rural lifestyle. Overnight stay at hotel/Resort. DAY 4 : EXCURSION TO CHERAPUNJEE &AMP; BACK . Start the day at 7:30 am with a full day trip to Cherrapunjee, the wettest place on earth. Visit Shillong Peak, Elephanta Falls, Nohkalikai Falls,Mousamai Cave, Ramakrishna Mission. Back to Shillong in late afternoon.. On arrival at Shillong, visit the markets in the Mall Back to the hotel by 7pm. Overnight stay at hotel. After Breakfast Depart to Guwahati Airport for onward destination. Tour ends.